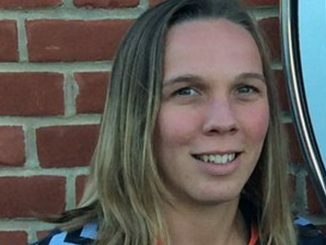 Charlton Athletic have signed experienced striker Emma Sherwood from Portsmouth. The Addicks say that well-travelled Sherwood adds a goal-scoring edge to first team manager Riteesh Mishra attack, as the squad continues to take shape. 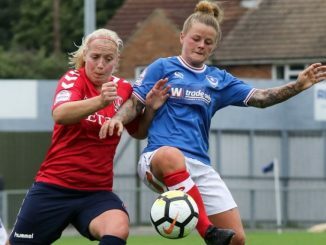 Having been sidelined for almost the whole of last season with a kneecap injury, Sherwood still managed to score three goals in three games for Pompey, taking her tally for the Hampshire side to 12 goals from 19 games. 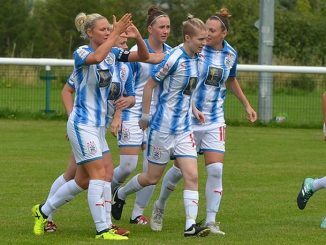 And Sherwood outlined ambitions to continue that form for the Addicks after re-joining – she previously had a very short spell in 2012/13 but failed to feature for the first team. Having trained with the squad for the first week of pre-season, she told cafcwomen.co.uk: “Tempo’s great, very good facilities, very professional, the coaching’s fantastic [and the] team’s very good as well. “I’ve liked [Charlton] for a few years, their style of play, and being a striker coming into this team is very exciting. I think it will suit me well, getting the ball to feet and being able to score loads of goals.